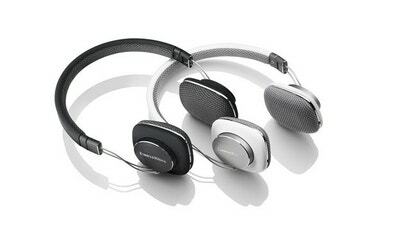 Something of a follow-up to the P5 headphones, the $US200 P3 headphones are Bowers and Wilkins's first on-ear headphones designed for a mainstream, smartphone-toting crowd. The P3s take the excellent design of P5s and reworks it with a foldable design and aluminium and rubber construction — making them ideal for stuffing in your bag. The headphones also come with two different cables — one with a standard iPhone remote and microphone, and another cable that will work other smartphones and media players. But the lower price means the P3 sacrifice some premium features: where the P5 headphones have leather earpads, the P3s are coated in a comfort-enhancing cloth. Where the P5s have 40mm drivers, the P3s have 30mm drivers. That's plenty respectable, especially considering B&W's pedigree, but more discerning listeners could notice these have less oomph.